11 piece set, based on a 20" module, offers unending gross motor experiences, color and shape differentiation, sewn in flexible mirrors for interaction and discovery! The 18"H triangle piece has mirrors on both sides. The universal hook and loop attachments allows a myriad of configuration possibilities. Made of durable 14 oz. vinyl. 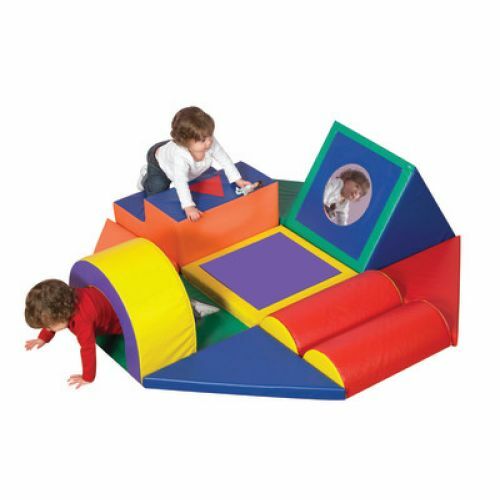 Floor space as shown: 60"L x 60"W x 18"H. Ages 12–24 months. Additional shipping charges apply.